Health services for students at NDP are provided by the Nurse’s Office, which is located in the Administration Building. NDP has an registered nurse on staff full-time to assist with student health and wellness needs. Vision and hearing tests, health screenings and drug screenings also are provided on campus. For school health-related questions, please call the nurse at 480-634-8255. Here is important information regarding health requirements for the 2018-19 school year. Inhaler Authorization form. The link between nutrition and learning is well-documented. Healthy eating patterns are essential for students to achieve their full academic potential, physical and mental growth, and lifelong health and well-being. NDP offers students the tools and knowledge necessary to make healthy choices for their bodies. 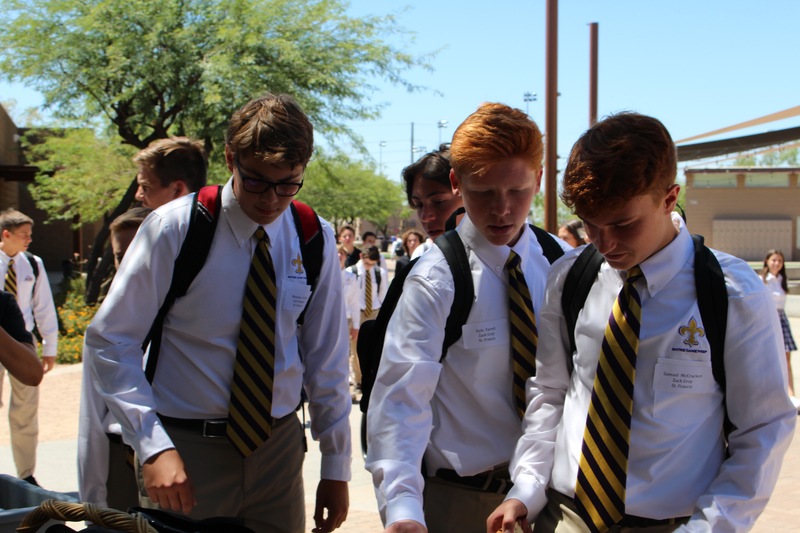 Notre Dame Prep's Counseling services support the academic success and mental well-being of students by providing confidential and dedicated guidance.